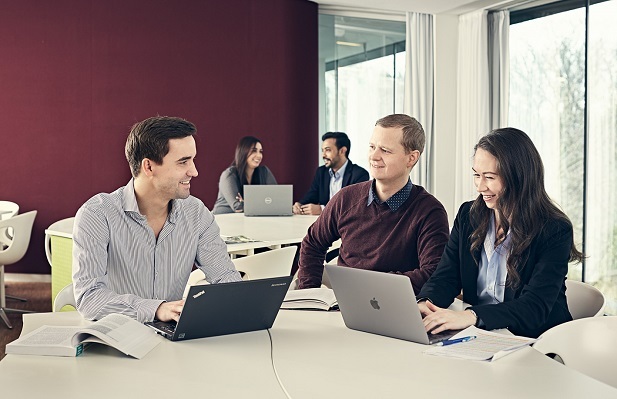 The Copenhagen MBA positions itself as an MBA with a heart, holding responsible management and sustainable business practices as key pillars. Each year, students are invited to join Net Impact, an organisation committed to mobilising the new generation to use their skills and careers to drive transformational social and environmental change. In the outgoing class – the Copenhagen MBA class of 2018 – the students demonstrated an outstanding commitment to Net Impact and managed to reach gold status. Chapters achieve gold status by meeting a rigorous set of requirements based on their activities, programming, membership reach, and community contributions. Iman Ghahremani, a recent Copenhagen MBA graduate, was one of the students that joined Net Impact and helped drive the activities throughout the year. "The Net Impact events provided us with a safe space to discuss some of the key issues facing our society, including indentured labor, climate change, and food shortage,” he said. “We hope that the class of 2019 and subsequent classes will continue to discuss and identify the most pertinent issues affecting our societies, and later on drive change in these areas." Andreas Rasche, Professor of Society at CBS and newly appointed Associate Dean for the programme, taught the Managing Sustainable Corporations course to the Copenhagen MBA class of 2018. And finally, now that the MBA torch has been passed onto the next chapter, does the outgoing Net Impact team have any top tips to share? "My advice to the next team is to make the most of this opportunity early on, follow their passions and investigate the things they always wanted to," concludes MBA graduate Rachel Browning. "Use Net Impact as a platform to make a difference. I used it to practice my presentation and persuasion skills in a safe space. You will be amazed at what you can achieve!"